It transforms instantly from a sofa to a comfortable bed for added functionality and comes with two pillows for extra comfort. It comes with a matching ottoman for storage. Some assembly is required. 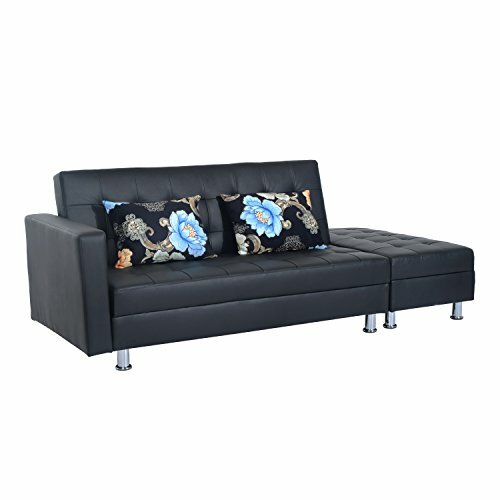 This multifunction HomCom sofa bed is a versatile piece of furniture that meets the daily comfort needs of you and your guests while providing an extra place to sleep.